In 1666, Robert Sandford laid claim to “Carolina,” the land between Virginia and Florida, while standing on the banks of Bohicket Creek where the village of Rockville is today. Named for the iron ore deposits beneath Wadmalaw Island, Rockville became a village in 1835. Plantation owners from Wadmalaw and other sea islands in Charleston County gathered their families near the region’s saltwater during the summer in hopes of surviving the dreaded “miasma,” known today as malaria. They built houses, made friends, and intermarried until everyone was related. 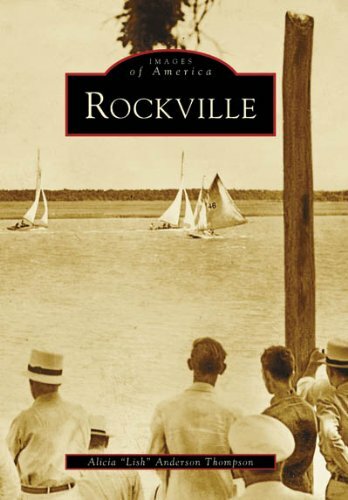 Images of America: Rockville shows the Bailey, Jenkins, LaRoche, Sams, Seabrook, Stevens, Townsend, Whaley, Wilkinson, and Wilson families; their summer homes; their chapels of ease; and their well-known annual sailing event, the Rockville Regatta.